The Florida Coalition to Prevent Gun Violence and the League of Women Voters of Florida will begin producing a series of videos this week to fight a proposed bill by the state Senate that seeks to allow the arming of school teachers and staff. The videos are being produced with a grant from the Southern Poverty Law Center Action Fund, a member of the Coalition. The videos will be shared widely on social media. They will feature testimonials from representatives of the many stakeholders who are opposed to expanding the Guardian Program, which would take scarce education dollars from evidence-based solutions, such as mental health supports and divert them to dangerous, unproven measures that purport to keep students safe by “hardening” schools. In addition to the Coalition and League of Women Voters, Senate Bill 7030 is opposed by the ACLU of Florida; teachers’ organizations, including the PTA; National Association of School Resource Officers, a number of school boards across the state that have passed resolutions expressing their opposition to arming teachers, and many individuals who have been directly affected by gun violence, among others. The bill would permit school districts to take part in the Guardian Program without the participation of their Sheriff’s Offices. It seeks to allow classroom teachers to undergo firearms training and to carry concealed weapons on their campuses, a role for which they cannot possibly be adequately trained. While school shootings are tragic events, they continue to be rare instances. Research shows that more guns naturally put more people at higher risk of being shot, whether intentionally or accidentally. Even highly trained law enforcement officers are sometimes unable to respond adequately to high-stress shooting incidents. There is also a fear that Florida’s Stand Your Ground law could be cited in a school shooting, placing students of color at greater risk for racial injustice. A 2015 study showed that a suspect is twice as likely to be convicted of a crime if the victim is white as opposed to a person of color. “Strategies that are preventative and focus on the mental well-being of young people are to be applauded and funded, but these strategies should not include allowing classroom teachers and other school personnel to be armed,” stated Andy Pelosi, co-chair of the Florida Coalition to Prevent Gun Violence and executive director of The Campaign to Keep Guns off Campus. Among those to be featured in the videos are parents, teachers and students, and Jim Verity, a retired Orange County deputy sheriff and school resource officer. 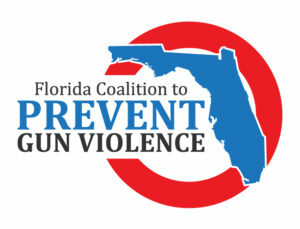 The Coalition and the League have long fought dangerous gun proposals in the Florida Legislature. Other goals include banning the sale of military-style assault weapons and large capacity magazines, and keeping guns off college and university campuses. The Florida Coalition to Prevent Gun Violence was co-founded by the League of Women Voters of Florida and the Campaign to Keep Guns Off Campus after the Pulse shooting in 2016 to promote smart gun legislation. It has grown to include more than 100 local, state, and national organizations and includes such diverse groups as the Florida PTA, Equality Florida, the Interfaith Council of Central Florida, National Council of Jewish Women and the Southern Poverty Law Center.